(though “night” in December in the Antarctic is only a brief dusk). specimens (right) and colonies that form chains several meters long. reproduce, and how much organic matter they transport to deeper water. food source for whales and penguins, salps provide little nutrition. diminishing sea ice provides less shelter and food for young krill. 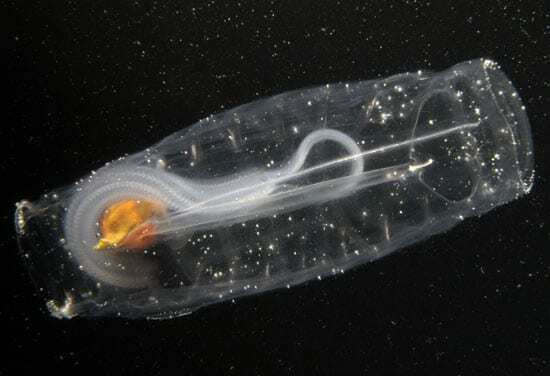 more about salps’ role in the fertile Southern Ocean ecosystem.